Cake & Heels: Not going to lie... 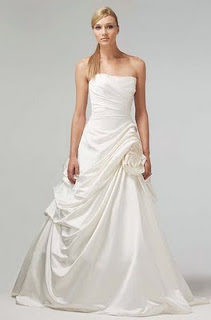 I kind of love this Wedding Dress. Not going to lie... I kind of love this Wedding Dress. I feel like my mother would say that this looks like drapery, but it looks like a princess rose to me. 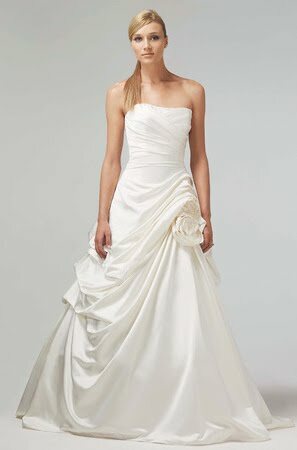 Ivory silk satin strapless ruched ball gown with hand draped skirt and cabbage rose accents.